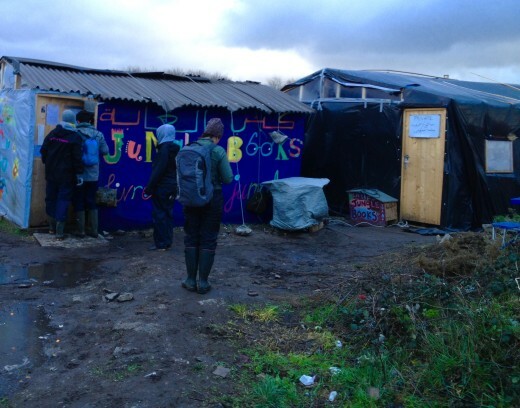 A number of Wilsons colleagues set off on Saturday to the refugee camp at Calais known as ‘The Jungle.’ A huge amount of items were generously donated by members of the firm, ranging from thermals to connecting mats, and these were delivered to the camp by the Wilsons representatives. 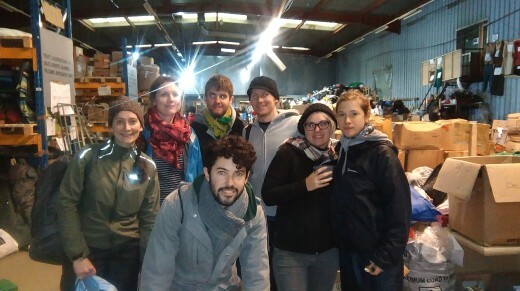 Bulky items like tents and sleeping bags were taken to the Calaid warehouse, a hive of activity where the group spent part of the day organising their distribution. 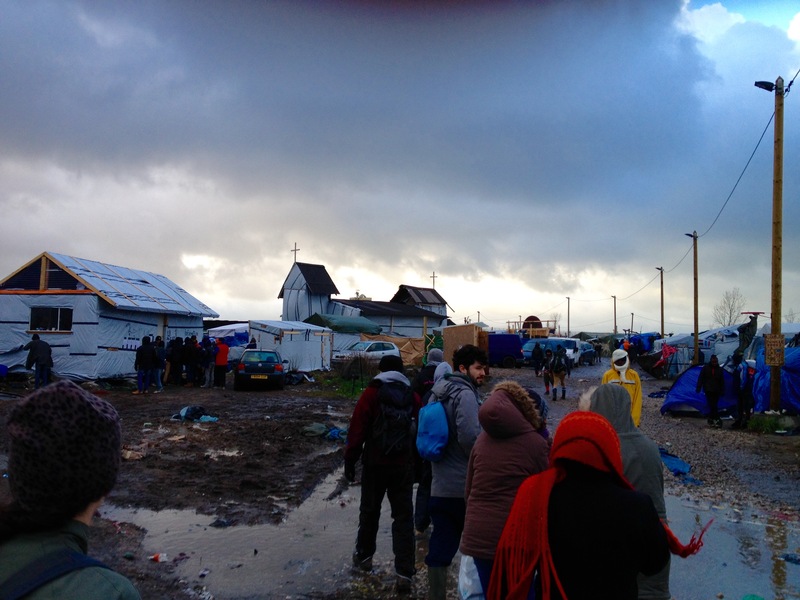 Smaller items, such as hygiene kits and protein packs, were personally handed over to individuals met in the camp. Conditions were apocalyptic. 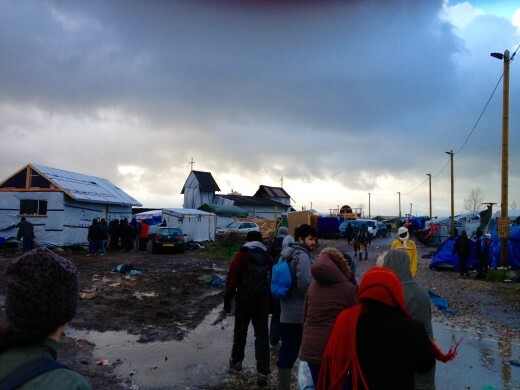 Howling winds and swirling rain battered the tents of the camp’s residents. A foreboding sense of even worse weather to arrive in the form of winter’s full force was inescapable. Notwithstanding the significant amount of volunteers and donations on the ground, it will be an uphill battle to ward off the cold for many people not predisposed to such conditions. To make matters worse, yet another fire broke out at the camp as night fell on the 21st, destroying many an abode and the only possessions of people already in dire straits. The medical tents, food/water supplies and initiatives like the ‘Jungle Books’ library sustain bodies and spirits but only political solutions can bring an end to the mess. The uncertainty and predicaments suffered by those at the camp are also exacerbated by a real dearth of legal assistance and knowledge. In light of recent events, it seems unlikely that the necessary political will to address the plight of these individuals caught up in the biggest refugee crisis since 1945 is to materialise before matters further deteriorate. The 6000+ present at the camp will not just disappear. Despite the many grim aspects of the trip, the camaraderie and promise of a return to warm sheltered accommodation felt special. The stoicism evident amongst the camp’s residents was quite something to behold. However, where a brighter future will come from was difficult to discern. Adam and Ruth stayed overnight and returned to the camp on Sunday where they helped to clear up after the fire. 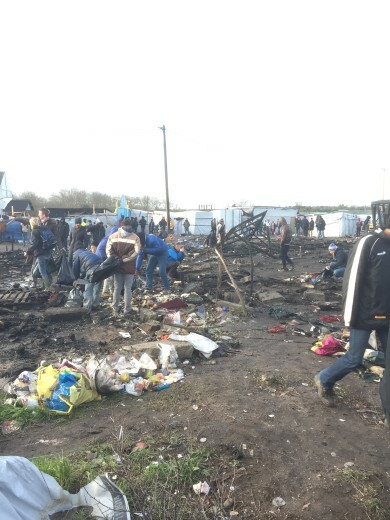 Around 200 people were affected by the fire and they spoke to many people who had lost all everything; they did not have any warm clothes or a place to sleep that night. 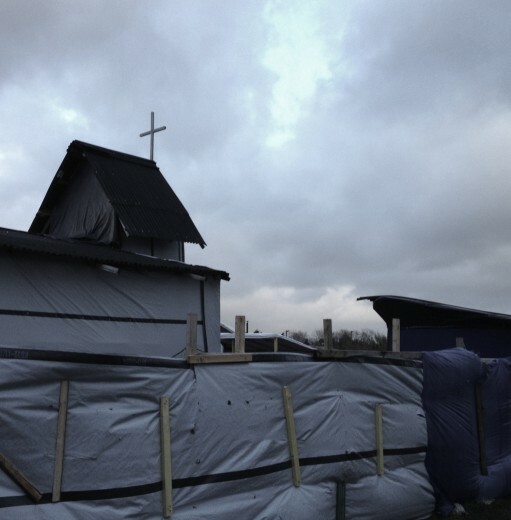 The lack of necessary equipment such as heavy duty rubber gloves and rubbish bags has meant that residents have been unable to keep the camp clean. During the influx of these items in the wake of the fire on Sunday morning, many people came over and asked for spare pair of gloves to get to work. This gave an opportunity for Adam and Ruth to speak to people about how they had found themselves at the camp. Every single person asked said that they had family in the UK and wanted to join them. There was one Iranian man who had previously worked supplying goods to NATO – his mother and two younger brothers were living in London and he had not seen them in 20 years. Another was a lady whose 2 year old daughter had been born in England, but they had been removed from the country and were now living together in the camp. There was a huge amount of debris to clear and it was heartening to see how much progress had been made by the residents and volunteers. However, yet another large fire in the Eritrean quarter of the camp broke out that night. 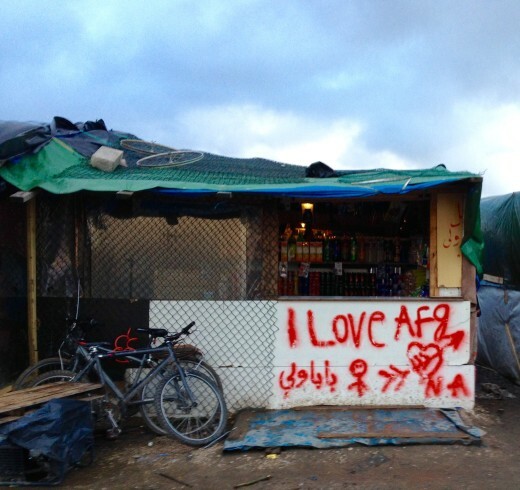 This encapsulated what the residents of the camp and the volunteers are dealing with. Many people are going to great lengths to try and help and some progress is being made, but a lot of the time they are, quite literally, firefighting. A big thank you must go to Calaid for their continued efforts and particularly Jack Abbott who assisted with transporting our donations and directing the Wilsons group around the camp.